An Improv Fest! A Radler Fest! 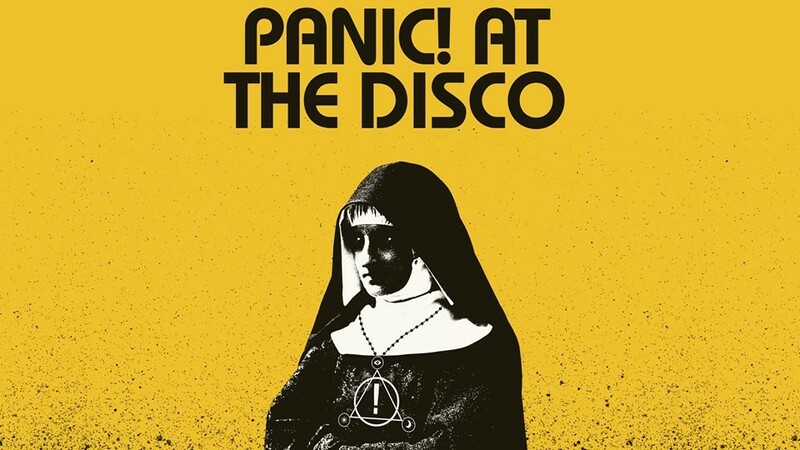 A Panic! 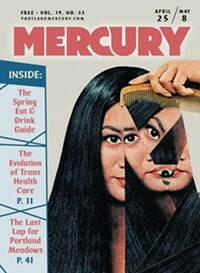 (at the Disco), KBOO Still Rocks the Block at 50, and XRAY Causes a Heatwave! August isn't playing around, is it? You think you have a handle on all the awesome goings-on in the city and then WHAM: Stumptown Improv Festival. 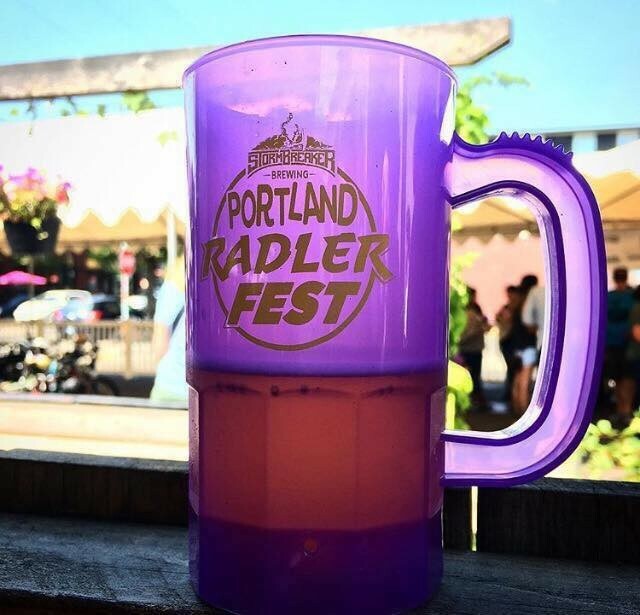 BAM: Portland Radler Festival. THANK YOU MA'AM: KBOO's 50th Birthday Block Party. And that's not even really getting into all the fun stuff that's going down via Shabazz Palaces, Jack White, Lavender Country, Panic! at the Disco, and the Portland Timbers. OH! And there's a meteor shower happening, too. It's a real busy weekend ahead; hit the links below and load your plate accordingly. Hop Along dropped their fourth studio album Bark Your Head Off, Dog in April, and it delivers more of what fans have come to love about the Philadelphia indie rock titans: big hooks, lyrics that cut to the emotional core, and Frances Quinlan’s shapeshifting vocals, with the folksy addition of strings warming up the edges of the band’s heart-swelling anthems. KBOO Community Radio celebrates its 50th Birthday with an all-day block party, with food, drinks, speakers, radio station tours, and giveaways, along with live music from Mic Crenshaw, Deena Bee, Rich Hunter, Ayatollah Beats, King Tim 33 1/3, Burial Ground Sound, Los Supremos de los Hermanos Flores, The Stops, Bottleneck Blues Band, Zahira & Rising Buffalo Tribe, Grateful Buds, and Julie & The WayVes. Since Victoria LeGrand first sang about “heartbreak and ponytails” over Alex Scally’s bewitching guitar tones on Beach House’s 2006 debut, the Baltimore duo has proven themselves to be masters of a new kind of woozy dream-pop. It hasn’t evolved too much since then, but that’s a good thing—the band’s new album 7 more or less follows the same formula, with warped electro-pop melodies floating behind LeGrand’s voice, which somehow always seems detached but intense. A cannabis-themed outdoor all-you-can-eat pig-roast as presented by Paley's Place. What does "cannabis-themed" mean in this case? Its not just a bunch of pot leaves everywhere. The pig they're roasting was raised on raw cannabis at Moto Perpetuo Farm, and the drinks by Coalition and Ablis are CBD-infused. The singer/songwriter and keyboardist known for his improvisational live performances returns to Revolution Hall with his backing band in tow. Jai Ho knows how to throw down, and the 8th anniversary of their Independence Bollywood Party celebrating India and Pakistan's freedom is going to be one of the grandest examples of the positive party vibes they're known for. DJs Gregarious, The Art of Hot, and Narcissus My Reflection dig into their crates and pull out only the finest in new wave and synth pop for your listening pleasure. Hosted by Anna Jenkins. The Portland-based instrumental quartet known for playing a blend of percussion-driven krautrock, post-rock, and jazz return to Mississippi Studios to unleash their brand new full-length. Fellow locals Blue Cranes, Amenta Abioto, and KMHD DJ Derek Smith round out the proceedings. The Roanoke-based trio bring their dreamy and shapeshifting indie rock and pop back through Portland for a headlining show supporting their latest full-length, Every Day It Feels Like I'm Dying​.​.​..
A dinner benefitting Portland State University's Learning Gardens Lab, featuring a multi-course meal prepared by PSU Eats Executive Chef Matt Steele, made from freshly grown produce at the Learning Gardens. Dinner includes wine and beer pairings, live entertainment, and live storytelling from PSU students. What better way to celebrate summer than to enjoy some brilliant comedy by feminist comedy collective, That’s What She Said. Hear from Dannie Rae Cannon, Samhita Reddy, Shannon Sales, and Katie Piatt amongst others and rest easy knowing your dollars are going directly to a local nonprofit serving immigrants and refugees. The beloved '90s alternative rock and jangle pop quartet fronted by former Throwing Muses and Breeders member Tanya Donelly return to the Revolution Hall Stage in support of Dove, the band's first new album since 1995's King. If instrumental music were a coin, Dylan Carlson and Mary Lattimore would be its two sides. Carlson is from the Pacific Northwest, he's old enough to have roomed with Kurt Cobain, and he has spent the past couple of decades wrangling doomed drones and dusky tones out of his guitar in an effort to explore the fringes of American sound. His main gig, Earth, is one of the most influential heavy instrumental bands in recent memory, and his new album Conquistador is his first under his own name. Lattimore is from the East Coast, she’s a rising young talent, and her exquisite and ethereal approach to the harp has made her an in-demand accompanist for artists like Sharon Van Etten, Kurt Vile, and Jarvis Cocker. Her new-agey new album Hundreds of Days is one of the prettiest and most calming releases of 2018—a year when pretty and calming music is so very welcome.